Supreme Court has said that in spite of the emphatic directions that have been issued by it on 3rd January, 2013 directing all the States and the Union Territories to implement the protective provisions contained in the Protection of Rights of Children from Sexual Offences Act, 2012, the Right of Children to Free and Compulsory Education Act, 2009 and the Commission for Protection of Child Rights Act, 2005, many States and Union Territories have not complied with the same. By order dated 7th February, 2013, Supreme Court had issued further directions to all the States and the Union Territories to comply with the obligations under the aforesaid three Acts, with regard to the establishment of protection institutions/implementation institutions, together with necessary Rules and Regulations. The aforesaid order was to be complied with within a period of three months from the date of receipt of the certified copy of the order. The Bench was hearing suo-motu proceedings in Re. Exploitation of Children in Orphanages in the State of Tamil Nadu Vs. Union of India [WRIT PETITION (CRL.) No.102 of 2007], on the basis of the letter received by the Court in the year 2007. 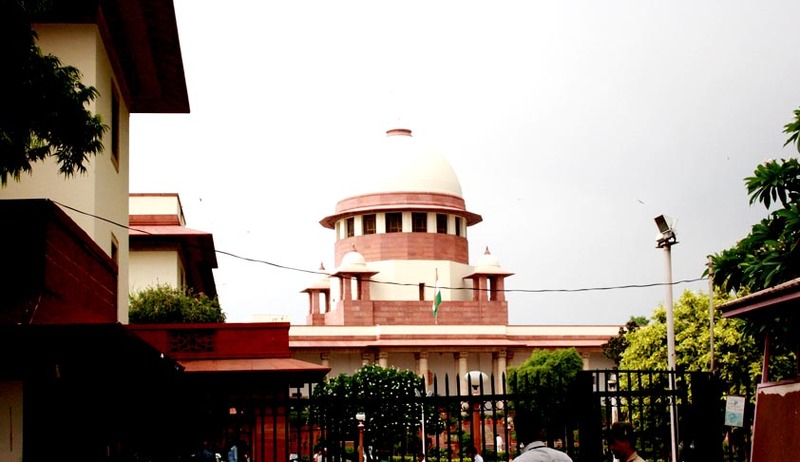 The Court directed that the Chief Secretaries of all the States to which notices have been issued in this matter shall file an affidavit within a period of eight weeks from the date of this order disclosing full details with regard to the implementation of the obligations specified under the three Acts. Whether the State Commissions have been set up under Section 17 of the Commissions for Protection of Child Rights Act, 2005. Whether the appointment of the Chairperson and six Members has been made indicating the names of such Chairpersons and members. Whether Rules have been framed by the State Governments under the said Act. Whether the said Commissions are functional and if not what are the constraints. The appointment and the remuneration structure of the Chairperson, Members and support staff including Member Secretary of the State Commissions? The Chief Secretaries of the States in their affidavits to also indicate whether Special Courts have been designated under Section 28 of the Protection of Children from Sexual Offences Act, 2012. Whether Special Public Prosecutors have been appointed under Section 32 of the said Act. Whether Rules have been framed under the Right to Education Act, 2009. Whether all Institutions run by the State Governments or by Voluntary Organisations for Children in need care and protection have been registered under the provisions of Section 34 of the Juvenile Justice (Care and Protection of Children) Act, 2000, read with Rule 71 of the said Act. Whether any unregistered institutions for children in need of care and protection are being run and if so have they been shut down or taken over by the State Governments. It is also directed that in the unlikely event of there being a non-compliance of any part of the directions, an officer of the rank of Principal Secretary of State Government shall remain present in person in the Court to clarify the issues with respect to the failure to implement the directions of the Court. If for any reason, the affidavit, as directed for, is not filed by the Chief Secretary before the next date of hearing, then also, the officer of the rank referred above shall remain present in person to explain the reasons for the State’s failure to submit the affidavit.